No doubt about it, it’s a little bit of heaven right here on earth--the pedicure! Put your feet in the warm, bubbling water . . . sit back while your feet are massaged. When you’re done, it’s like having brand new feet! (By the way, this is not just for girls . . . it’s highly recommended for all you guys out there too!) Even if you’ve never had a pedicure before, you are sure to enjoy shiur mispar esrim ve-chamesh. It’s the first intermediate lesson of Learn Hebrew Pod, and in it, we’ll take our Hebrew knowledge to a whole new level. 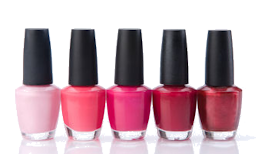 Other than discussing the relative merits of the French manicure vs. red polish, we will study lots of new vocabulary in this lesson, including taking look at some of the colloquial uses of words. For example, we’ll learn that, in Hebrew, the word for “line” also means “appointment.” And because you’ve set up an appointment, you don’t have to wait in line! In Lesson 25B, we’ll begin our exploration of the future tense. You’ll also notice that the dialogue Liat wrote for Lesson 25 includes verbs in all three tenses. Wow . . . we’re intermediate-level students now. We must really be getting good!! There are so many reasons to join us for shiur 25--not the least of which is that you can’t possibly go through life without knowing what “e-i-ti-ni” means! So tune in and enjoy our trip to the salon. It will make your Hebrew, well . . . beautiful! !